AGI’s international reputation stems from over 40 years of experience in the design and manufacture of ship’s log systems for 45 navies worldwide. Covering all classes of vessels – from nuclear and conventional submarines, aircraft carriers and frigates, to fast patrol boats, mine-hunters and fleet support ships. AGI’s products are highly customised items and are based on a modular design. 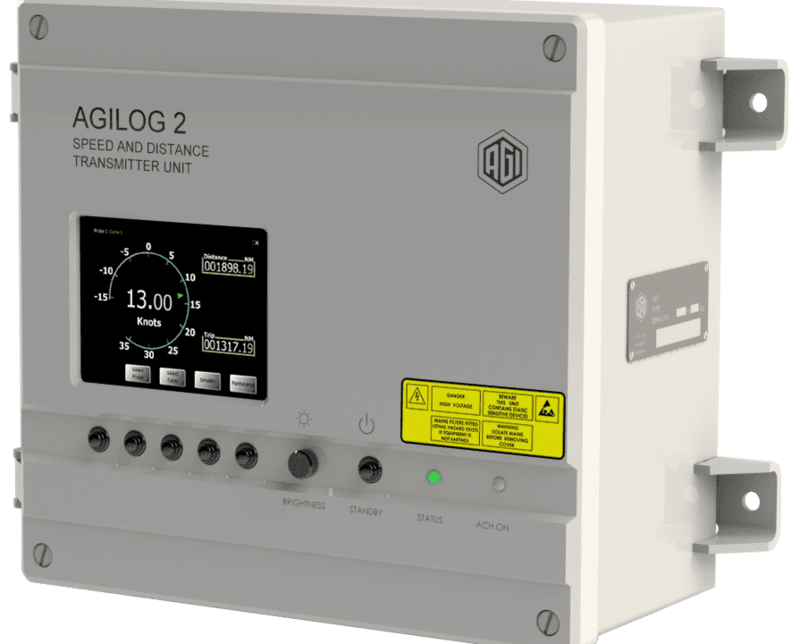 The AGILOG 2 Speed and Distance Transmitter Unit (SDTU) provides a wide range of system interfaces and expansion options. AGILOG 2 provides single or dual axis speed measurement, with multiple RS422 serial outputs and Ethernet interfacing built in. AGILOG 2 also offers GPS assisted calibration which uses ground speed data to calculate the average true speed over a calibration run. This method does not depend on accurate distance and time measurements and is therefore easier to accomplish. 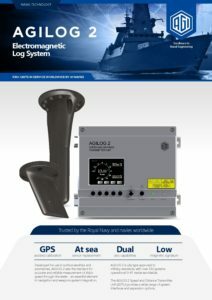 System Configuration: Typically the AGILOG 2 system comprises of the SDTU, Underwater Sensor(s) (or Probes) and Multi-Function displays.